There’s no doubt that we all love to exercise and having something you’re passionate about helps to motivate you in ways you never had before. For many people, their chosen workout style is CrossFit thanks to the exciting challenge that it offers, but when you add up the costs for workout gear, footwear, and accessories, it can seem a little out of reach for some. One of the biggest expenses we can make for fitness, regardless of the type of sport we play or physical activity we enjoy, is our footwear. These unique accessories should not only look good but support us through tough workouts and help us to move freely and quickly when we need to, but they’re usually quite costly. If you’ve been searching for CrossFit shoes that are a little friendlier on the budget, you might keep coming up short with inferior looking products. Although the cost is lower, it seems the quality is too. You have to practically get a second mortgage just to be able to afford a pair that’s anywhere near worthwhile. That’s where Ryka has come along and changed the game forever, with their range of shoes that are well within the average CrossFit enthusiast’s budget but of the highest quality and style, offering the perfect balance. For the exercise fanatic who wants the best but might not always have the budget to match, these are a great option. 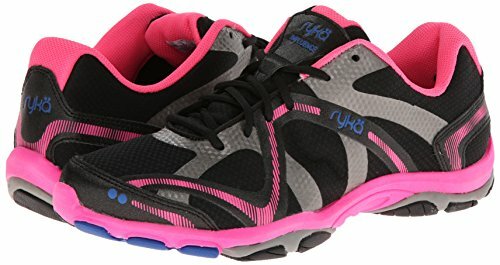 Ryka is one of the world’s leading shoe brands, with an entire range devoted to the unique needs of females. With over 30 years’ experience creating shoes that suit all kinds of workouts and sports, it’s no surprise that the Ryka Influence Cross Trainer is considered one of the best for this style of footwear, and in a price range that won’t break the bank. 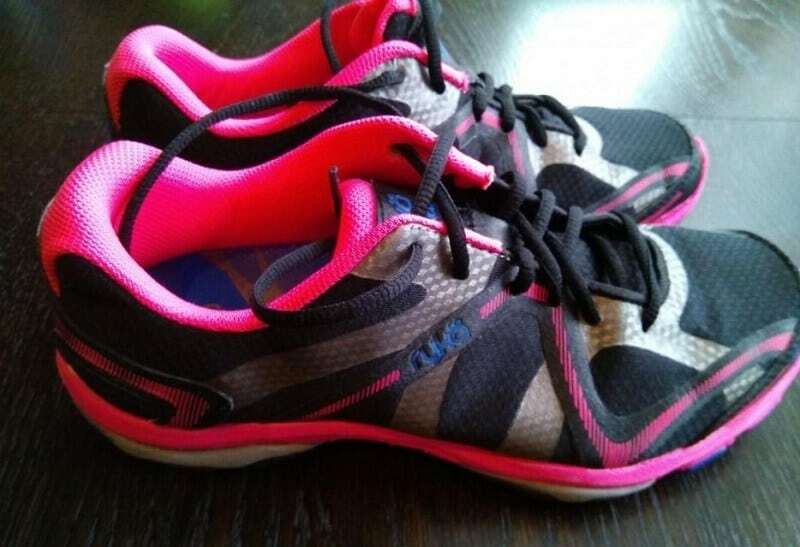 These shoes are perfect for any woman who loves to cross train and get serious about her workout. Because Ryka only makes women’s shoes, you are guaranteed something comfortable and supportive to the female form, and a shoe that will improve your performance and enhance your strength as you put yourself to the test in CrossFit. These shoes are incredibly lightweight and ideal for workouts like CrossFit as they can help you do a whole range of different exercises. Although light when you sprint, they offer solid support for lifting weights and other strength exercises which you might not believe when you first try them on. Although there seem to be mostly happy customers, there were a few women who noted that the sizing seemed a bit off with their Ryka shoes. People found that they ran short which make them uncomfortable when working out, so be sure to check the measurements quite closely before you settle on a size and don’t assume your usual number will fit. Another huge positive of these shoes is just how good they look and how modern the designs are. Many women’s shoes seem to miss the mark but Ryka has carefully designed a range that caters to women of all tastes and styles, and it’s evident in the many different and modern colors they have to offer. 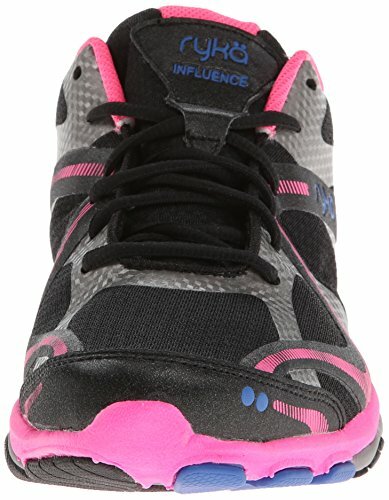 If you’ve been searching long and hard for the perfect pair of women’s cross trainers, then your search is finally over now you’ve found the Ryka Influence shoes. Amazon is proud to list most of the Ryka range and at very affordable prices. This is exceptionally lower than you’d find with other premium brands but just as high regarding quality, so there’s no way you can pass them up. Amazon will also make it easier to get your new shoes thanks to their free shipping promotion, and this can save you a considerable amount of freight charges. If you’re part of the Amazon Prime program, you’ll receive your new Ryka shoes within just 48 hours so you can take them along to your next CrossFit class and break them in. One of the biggest advantages to finding a pair of affordable shoes like this is being able to get yourself a backup pair. For the cost of two pairs of Ryka shoes, you can almost equal the cost of one pair of another comparable brand, so it’s well worth investing in an extra pair for when they finally get worn out. If you’ve been looking for a new pair of cross trainers but didn’t have the cash to get one of the more expensive brands, Ryka has made it possible to do so with style and comfort. Their high-quality shoes feel like something that should cost a lot more than it does, so they’re ideal for the savvy shopper. Anyone who’s ever done a CrossFit workout before will tell you the difference that the right pair of shoes can make, so there’s no excuse for being without something that is built to enhance your performance, especially when it’s so affordable. 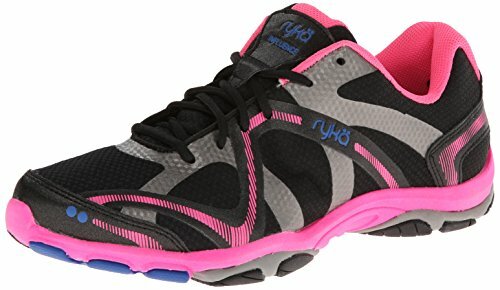 If you want to get yourself some of the most budget-friendly but high-quality CrossFit shoes on the market, you can’t go wrong with the Ryka Women’s Influence Cross Training Shoe.